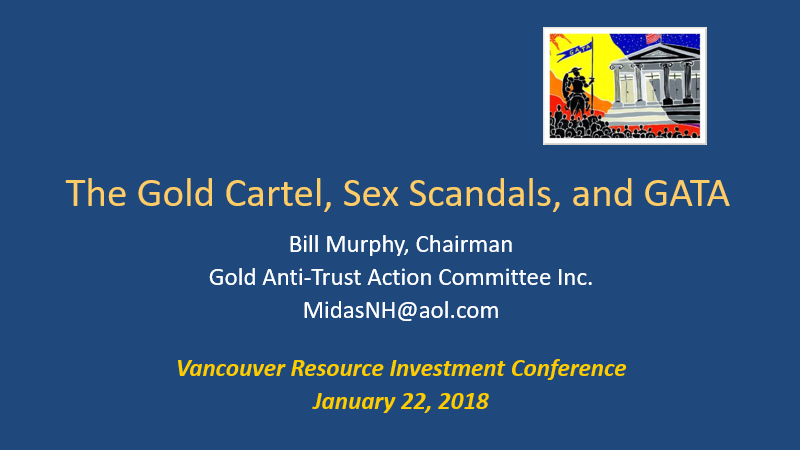 It is much fun having the opportunity again to make a presentation here in Vancouver on behalf of The Gold Anti- Trust Action Committee � in order to expose the manipulation of the gold/silver markets by The Gold Cartel. My first trip here was 19 years ago for an arranged meeting at the airport with Normandy Mining Chairman Robert Champion DeCrespigny on his way back to Australia. After flying all that way from Dallas, this arrogant man refused to see me. GATA went all that distance to help his firm, the gold industry, and the gold market � and he could have cared less about those issues and our effort. Little did we know back then this type of reception would become much the norm, as not. 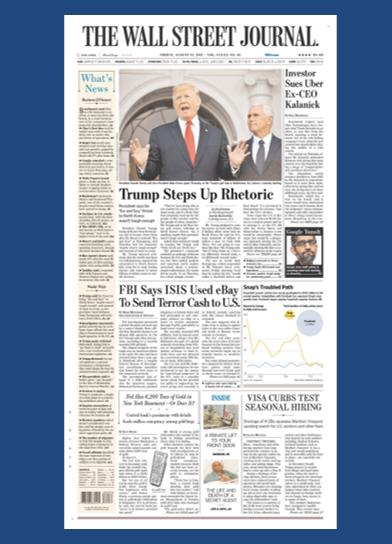 Over the many years it became apparent the market rigging extended even further to other financial markets � including acknowledged intervention in our bond market and clandestine operations in our stock market, marshaled by the infamous Plunge Protection Team. One of the first people to acknowledge the magnitude of it all was my colleague Chris Powell, who at GATA�s 2008 conference outside of Washington, D.C. came up with his great line, "There are no markets anymore, just interventions." For nearly 20 years Chris has been documenting the evidence of the intervention in the gold/silver markets by The Gold Cartel. 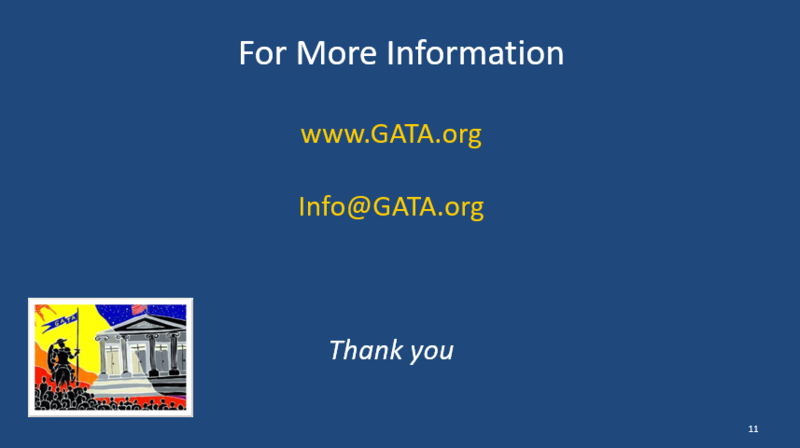 It is all there on GATA�s website ( www.GATA.org) for anyone who wishes to get a grasp on how real and massive the intervention really is. And yet, incredibly enough, despite the obvious there are very few in the gold world who will touch the subject � THE most important one of ALL to those with any interest in the precious metals. My role has been to chronicle the day to day activities of this cabal on my LeMetropoleCafe website, which many times are so blatant even a caveman could spot them. Our colleague James McShirley, a lumber company CEO with decades of experience in the futures market, has been invaluable in that regard. No other markets in history have traded the way gold and silver have � over, and over again, sometimes in the most absurd of fashions. The latest of which is the astonishing and unprecedented rise in the gold open interest on the Comex with The Gold Cartel doing the selling, and the hideous punishment of silver each time its price rises to $17.25. Course many of you in this audience understand this and know of our efforts of nearly two decades to expose what will eventually become the most infamous financial market scandal in U.S. history. 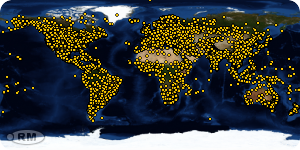 *We have held 4 international conferences - in South Africa, Alaska, Washington D.C., and London. 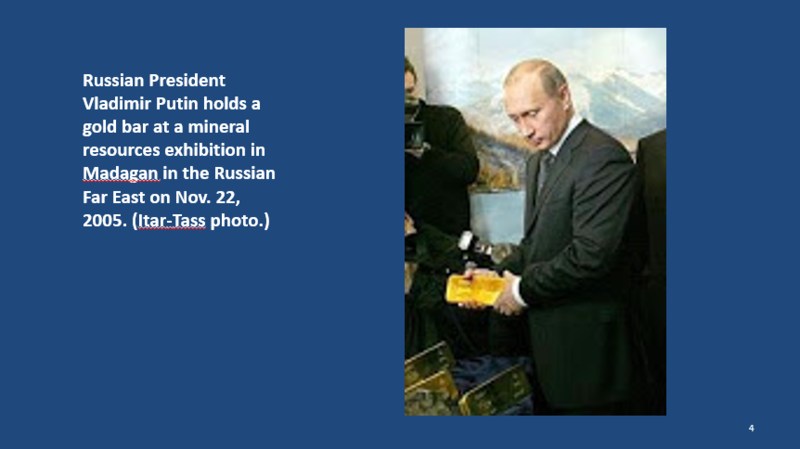 At our 2005 Dawson City conference a senior economic advisor to Russia�s President Putin, Andrey Bykov, showed up and said it was the finest conference he ever attended. The price of gold had been comatose. Two days later the gold price began to take off. 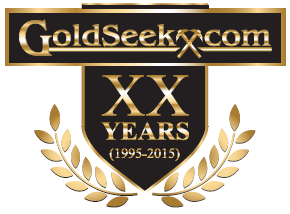 NINE months after GATA�s conference in Alaska, the gold price had risen 70%. *We have been to Washington numerous times to meet the likes of the Speaker of the House; Ron Paul; Monetary Committees, etc. *Organized letter campaigns to Congress. *Been on various cable TV financial shows. *Presented at conferences, such as this one, etc. 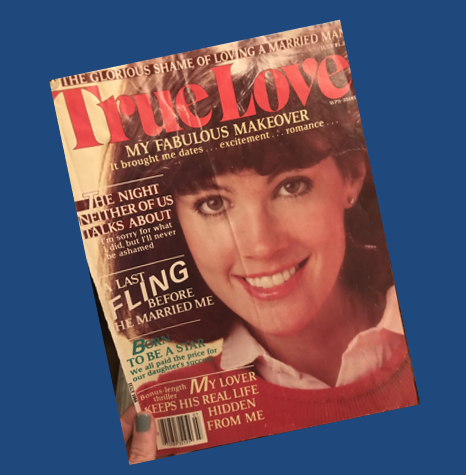 *Most gratifying of all has been the terrific people we have met over the years, such as yourselves � many of whom have financially supported our efforts. 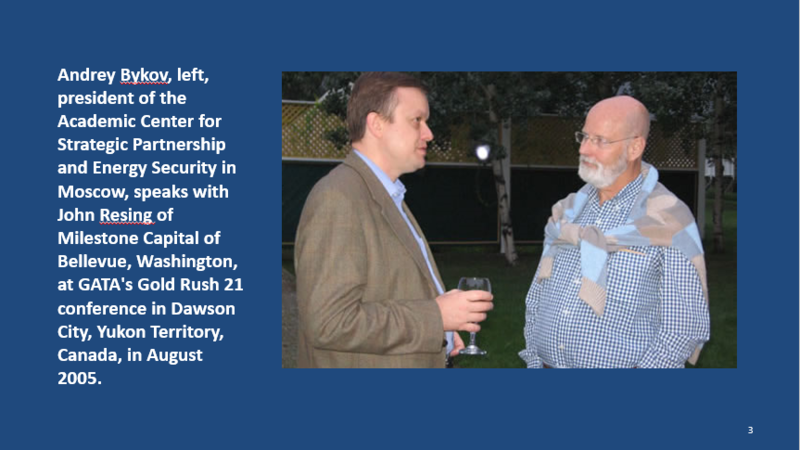 The World Gold Council�s CEO today is Randall Oliphant, who actually aided The Gold Cartel�s operations when he directed Barrick Gold�s massive hedging operations at the turn of the century. 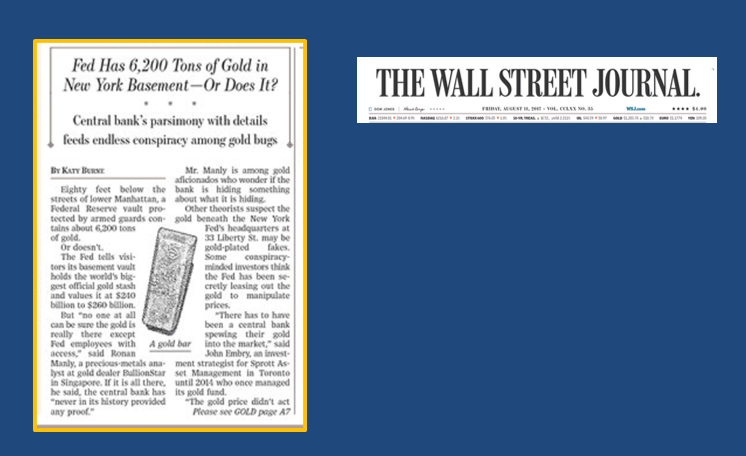 *In lawsuit proceedings Barrick Gold confessed that it and its bullion banker, JP Morgan Chase & Co., were the direct agents of the central banks in the international control of the gold price � that the central banks, having what is called sovereign immunity against suit, simply could not be included in the suit; and that the suit therefore had to be dismissed. The suit was not and was settled out of court. *It is no fluke that past Barrick Board members included George Bush, Brian Mulroney, the notorious Adnan Khashoggi, etc. All rich and powerful men. � and something to keep in mind for the rest of this presentation. 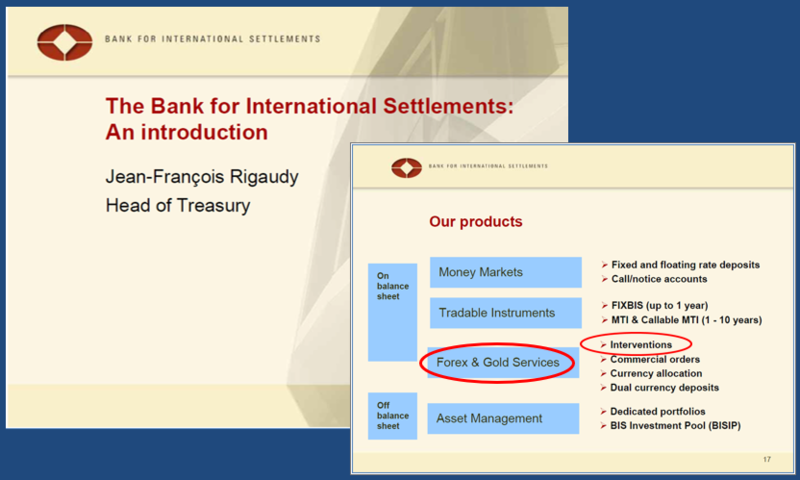 Barrick was connected directly to the bullion/central bank rigging operations. *Those gold rigging operations came to an end with Barrick taking something like an $8 billion dollar loss when its ludicrous gold hedges were forced to be lifted. The Barrick shareholders paid the price for that firm�s complicity with The Gold Cartel operations. *Despite being the world�s largest gold producer, its share price today is less than when gold was below $300 and GATA came into being. What goes around come around in that regard. *One final note, I made another trip up here to Vancouver in 2006 on behalf of the Nova Gold CEO, who, at the time, wanted GATA�s help to stave off an unwanted Barrick bid back then. We did what we could, but eventually those two companies got together and we never did receive any thanks from the CEO. So, here we are all these years later and so what? Why carry on when the industry refuses to deal with its most important issue and let�s themselves get mugged by a corrupt operation? The answer is quite simple. For Chris and I, "It is the life we have chosen" � a term appropriately taken from an old Mafia movie. Most importantly, major scandals in the past have taken many years to come out in the open. They include Enron, who was voted the US corporation of the year 5 years in a row by a major US financial magazine � and who can forget the Bernie Madoff scandal, one in which no one would listen to whistle blower Harry Markopolis for nearly a decade, despite the overwhelming evidence he presented to the authorities. Insiders at Enron who tried to expose the truth were fired. The sexual harassment accusations against this famous Hollywood big shot were so outrageous and over the top that it sent out reverberations throughout the media/political world. Senator Al Franken has resigned, as have media giants Matt Lauer of NBC and Charlie Rose of PBS Broadcasting. Good grief! 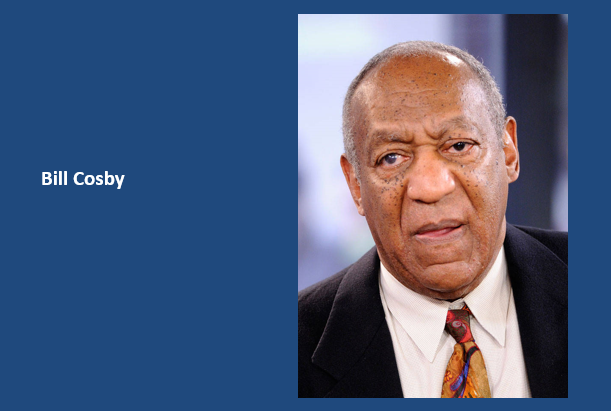 Within just months of Weinstein�s outing! Seems to me those reverberations are unprecedented in terms of speed. She went on an interview with Harvey Weinstein in a New York hotel suite and he had her dress up in a Teddy outfit with high heels on. So scared, she ran for the hills, but did tell my brother Tim at the time exactly what happened. The point is going up against the rich and powerful is known to be a losing proposition � for most, but not ALL, of the time, The tide has now turned when it comes to serious sexual harassment issues. The scandal took decades to surface. And, in my opinion, the same is going to be the case for the biggest financial market scandal in US history, that being the wrongful suppression of the gold/silver prices. Its time will come when your average Joe and Jane is devastated financially and wants an explanation of, "HOW COULD THIS HAVE HAPPENED?" Which brings me to a critical point of my presentation for all of you here who are interested in the gold and silver markets. Because of what The Gold Cartel has done, the gold and silver prices are the most undervalued assets in the world � by a hefty margin. 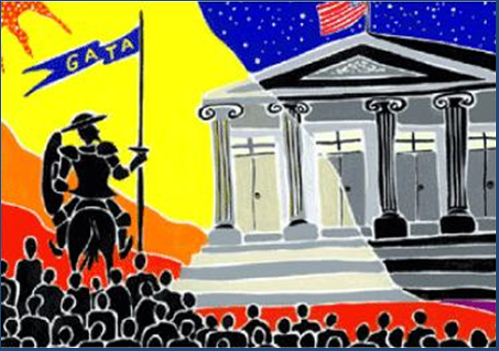 GATA realizes we are not wanted in certain circles in the precious metals arena because of what we have to say � that the richest and most powerful people in the world are preventing them from making money, going against them. So why bother to go there? Keep GATA out of sight and out of mind is their thinking. Nothing could be more out of whack in a big picture sense. Think about it. Assets of all kind have soared over the past years, including stocks, art, real estate, etc. Incredibly low interest rates have enhanced all of them, but not the two markets which should have gone up the most with all the paper money hoarded into the financial market system. The orchestrated suppression of the gold/silver prices was put into play by The Gold Cartel to deflect from what the powers were doing � inflating the system, and perhaps very dangerously so. Which leads us to another key issue for our camp. The crypto geniuses realized the advent of a technological way to put money outside of the traditional financial market system � for a myriad of reasons. The win for those who bought in prior of Jeff�s conference has been astronomical, the most phenomenal in all of recorded history. What has occurred exemplifies just how much the outside of the fiat money system gold and silver prices have been suppressed these past many years � which many of you are already too aware of. *The gold and silver prices really get going, and they keep on going. The cheapest assets on the planet won�t be by the end of 2018. *Once the price of silver, the cartel�s krytonite, takes out $21 it goes bonkers and eventually trades akin to what Bitcoin has done. The efforts by the JP Morgan forces to hold the silver price down at levels which are 2/3 less where it managed to trade 38 years ago are the most obvious and onerous I have even seen in 40 years. Silver has been so ludicrously depressed, Newton�s Law of Equal and Opposite Reactions, will finally take hold. $100 silver should be achieved faster than most anyone can imagine right now. Thank you � And may we all meet up again celebrating how everything has changed.